Welcome to the Smart Management of Infrastructure Laboratory (SMILab) at the University of New Mexico (UNM)! Our research group aims to develop the use of next-generation smart sensing technologies and strategies towards safer, cost-effective, resilient and sustainable structures. We are interested in monitoring and assessing structures subjected to dynamic loading and hazards, unusual stress levels, and extreme loading events. Our research topics involve wireless smart sensing, structural health monitoring, cost-effective prioritization of assets, structural modeling and validation, existing structure field monitoring and assessment, and laboratory testing and validation of structural systems under dynamic loading. SMILab hosting a workshop on Structural Engineering to build model bridges! 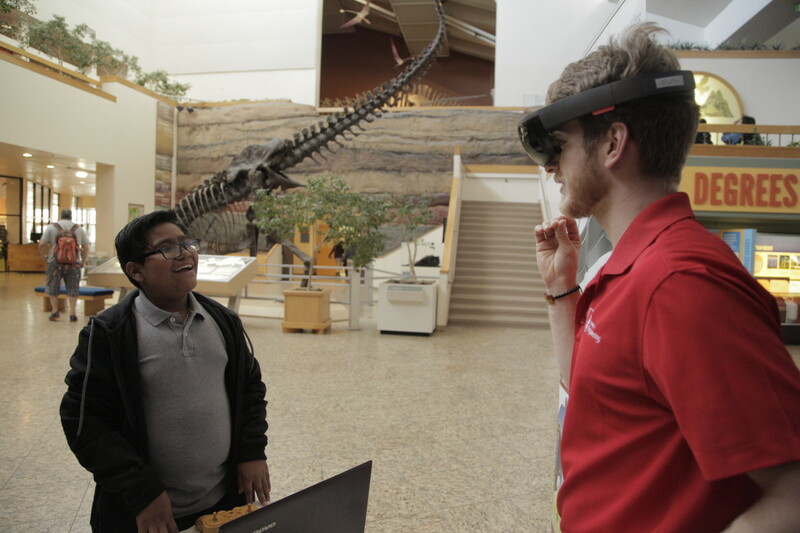 Graduate student Travis Taylor teaches students from Albuquerque public schools about HoloLens technology. Dr. Ali Ozdagli demonstrating how to use shake simulating equipment in the lab. Supported by the National Aeronautics and Space Administration (NASA) and New Mexico Space Grant Consortium (NMSGC) and as part of “Structural Performance Monitoring Using Wireless Sensors (WSW) for Cost-Efficient Management and Development of Commercial Space Vehicles”, SMILab builds wireless smart sensors to monitor rocket launch activities in collaboration with the Albuquerque Rocket Society (ARS). A great team effort taken to heaven! Thanks ARS for your strong support! Tramway general manager George Boyden gave SMILab and CE410 structural engineering design students a lecture on the design and construction of the Tramway, and led a dedicated tour of the control room; finally students measured the vibrations on the ride to the top of the mountain using sensors. Thank you Mr. Boyden for an elevated structural engineering class at 10,300 ft altitude for UNM engineering students! Dr. Moreu and Ronny Moreano visited UNM alumni Professor Mojgan Madandar at the Southwestern Indian Polytechnique Institute (SIPI). They introduced the students on smart sensing technologies and structural engineering, and encouraged them to apply to UNM Engineering. It was a great interaction and we thank Professor Madandar and SIPI for this great opportunity! and the OIA/IDI Colloquium for hosting this successful event. 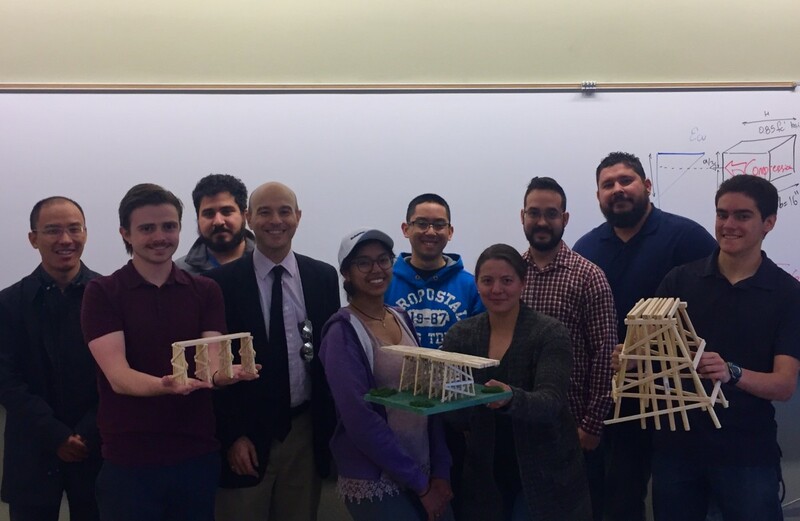 CNM students with Professor Natalie Marie Villwock-Witte attended one seminar from SMILab on smart structures at UNM, and received exposure to UNM’s structural engineering laboratory and engineering studies. In the picture, visiting scholar Ronny Moreano explains the data collecting and processing at Centennial Engineering Center. It was a great interaction between CNM and UNM. Thanks Professor Vilwock-Witte and CNM for the opportunity! 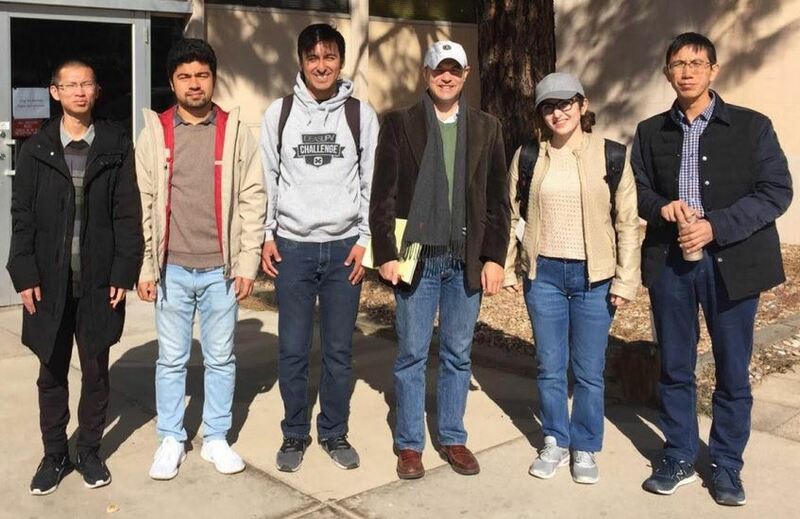 Dr. Scott Ouellette from LANL visited our laboratory, met with students and faculty, and gave a very interesting seminar on energy harvesting systems for autonomously powered sensor networks. In the picture with Dr. Moreu and Michael Shugh at the seminar. Ronny Moreano, visiting scholar from ESPE (College of the Ecuadorian Army) will be working with SMILab for nine weeks on total displacements measurements during extreme events such as earthquakes, tornados, or train crossing events. Welcome, Ronny! SMILab welcomes inquiring students and families to the Engineering Open House with HoloLens technology and shake table demos. 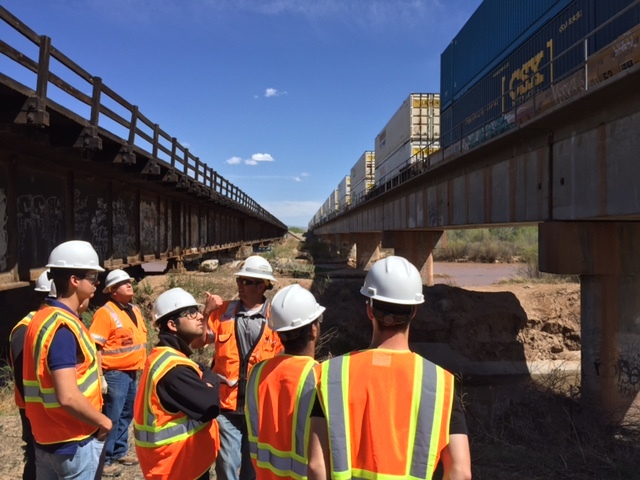 UNM students learn how to design and analyze railroad timber bridges in the structural design class at UNM. Their project was to build a timber trestle that they designed. Jack Noren from Shore Western visits SMILab for the large shake table installation and introduces earthquake engineering testing and design concepts to the architecture and landscape graduate students of Professor Mark Stone. Great questions from a great class! Dr. Ali Ozdagli, post-doc fellow at SMILab, presented his research to UNM graduate students at the graduate seminar class from Dr. John Stormont. Dr. Ali gave advice to graduate students about how to find a job after school. New Mexico Tech Dr. Don Ryu (SMILab collaborator) and Dr. Bideng Liu at the Conference on Smart Materials, Adaptive Structures and Intelligent Systems (SMASIS). 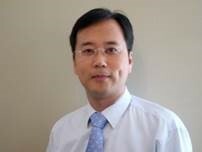 Dr. Liu chaired one session and presented one paper on reference-free displacement sensors. Great place and company for a research meeting! SMILab members presented two papers at AREMA 2017. In this picture, SMILab reunion: Dr. Moreu, Dr. Ali, and Jose Gomez (SMILab MS 2017, now working for Heuristic Actions, Inc. at Las Vegas, NV). 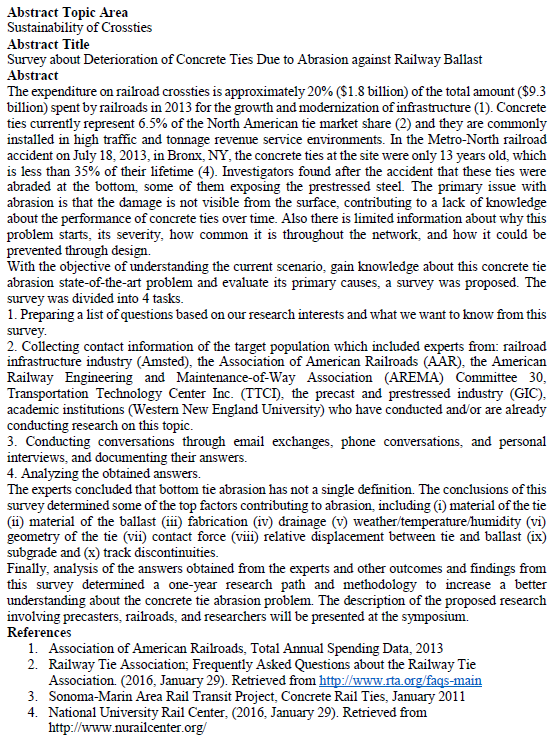 Great feedback from the railway engineering community to both papers! 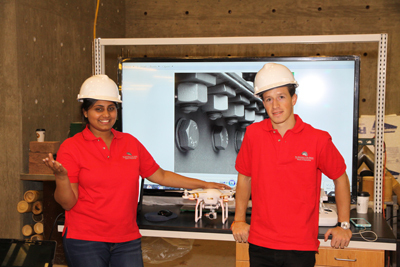 LANL’s Dr. David Mascarenas (SMILab collaborator) and Dr. Moreu presented one paper on augmented reality, one poster on confined sensing underground, and competed for “SHM in Action” at the International Workshop for Structural Health Monitoring (IWSHM) at Stanford, CA. Great feedback from the IWSHM participants. 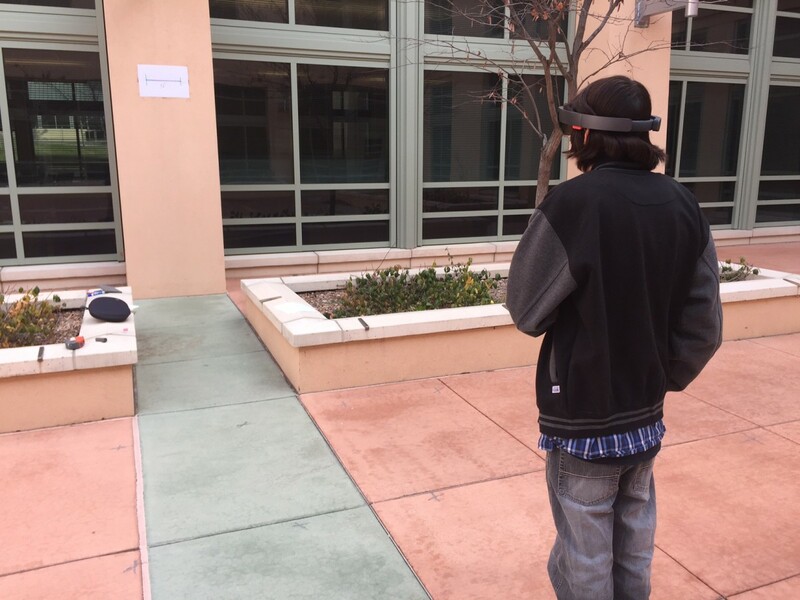 Augmenting Realities with Menaul School’s two hundred students! Great pool of future engineers!! SMILab member Jose Alberto Gomez is going to defend his Master's Thesis on February 16, 2017 in room CENT 3031 at 11 AM. He has been offered a civil engineering position in 'Heuristic Actions'. Charles Farrar visits Department of Civil Engineering and SMILab. Also presents in seminar and structural dynamics class. Shreya Vemuganti passes Ph.D. qualifying exam. Learning "How-to" Design Structures Under the Bridge. Click here for more in formation and pictures. SMILab director, Dr. Fernando Moreu, to deliver a presentation in the Adaptive Structures and Intelligent Systems. SMILab director and members attended the AREMA 2016 Annual Conference and Exposition in Orlando, Florida. The NOMAD institute has concluded. Poster presentation at Sandia delivered. High school mentees presented their work towards the end of the SMILab summer camp. Shreya Vemuganti has been awarded doctoral conference program award by the office of graduate studies of UNM. SMILab members to participate in the Non Linear Dynamics and Mechanics (NOMAD) institute at Sandia National Laboratory this Summer. 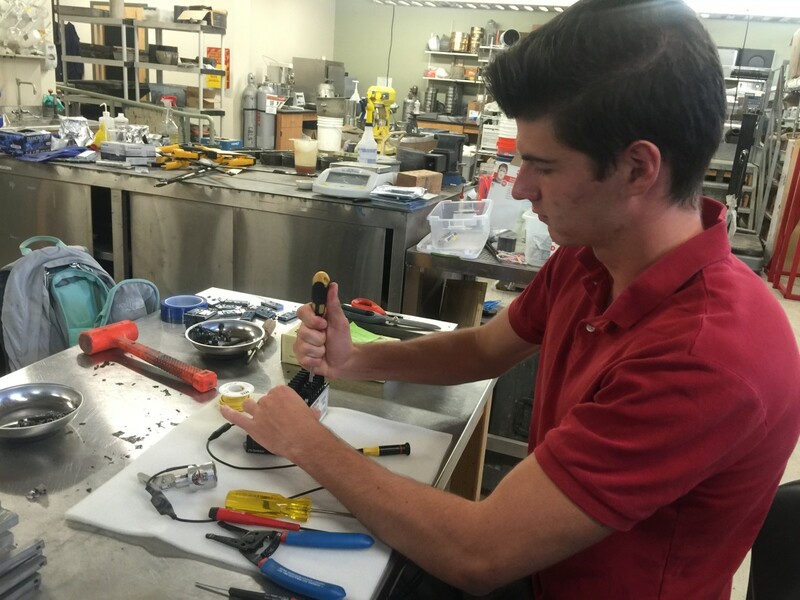 SMILab to mentor high school students in different engineering related projects this summer. 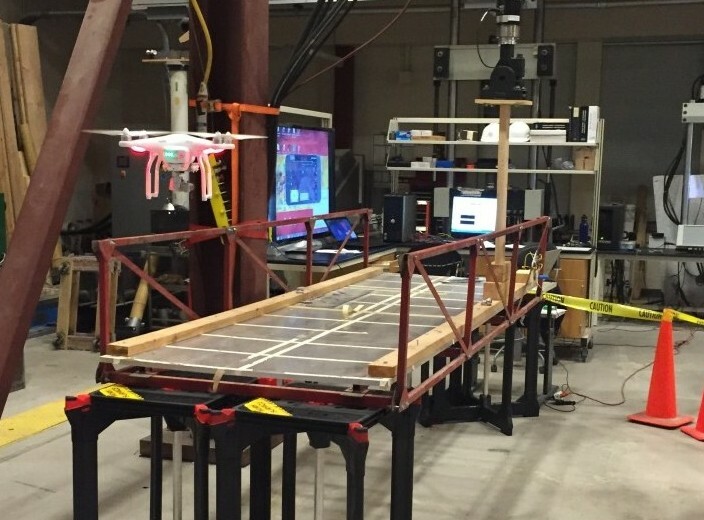 Earthquake Engineering Research Institute Student Chapter at UNM. 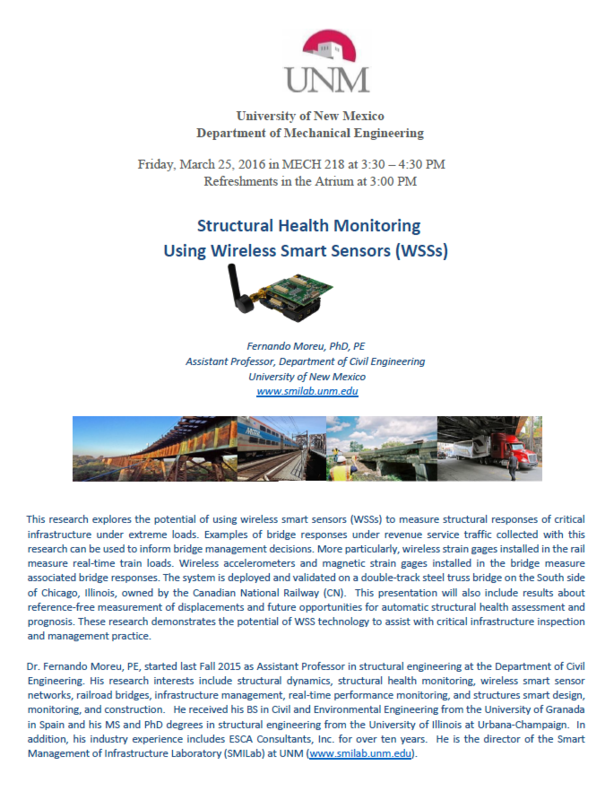 Smilab director, Dr. Fernando Moreu presented at the New Mexico 2016 ASCE meeting at Socorro. Educational field trip visit to BNSF, one of the largest railroads in North America in Belen, NM. STEM class completed. Video of this class can be found here. SMILab director, Dr. Fernando Moreu to present at KU. Click here for abstract about presentation and biography of Dr. Fernando Moreu. SMILAB member and PhD student Shreya Vemuganti to present at UIUC. She has also been awarded CE travel grant for academic performance and the importance of the research being conducted. 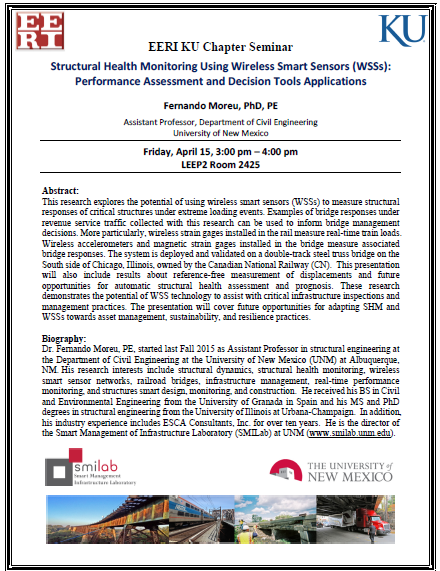 SMILab director, Dr. Fernando Moreu presented in Mechanical Department, UNM. ‘Shake It Up in Engineering’ Wednesday Bonanza ! A collaborative effort by SMILab and STEM UNM. SMILab director, Dr. Moreu, has been selected the New Mexico Section lead representative for the American Society of Civil Engineers (ASCE). Rebecca Wingate presented at UNM about Replacing a railway bridge: From inspection to construction. 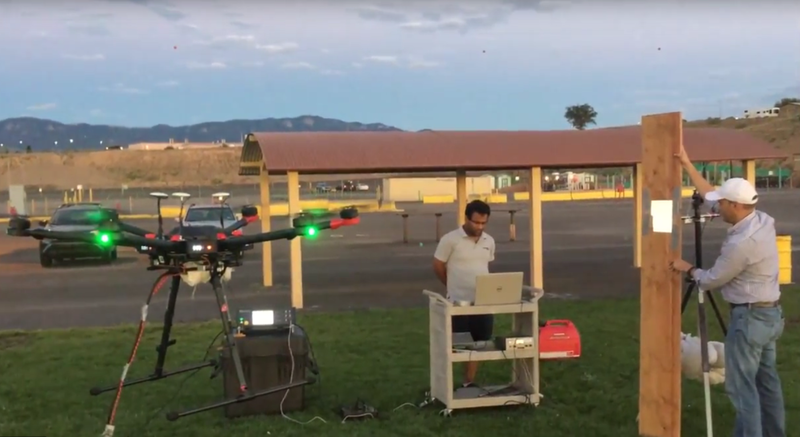 SMILab presented a poster at The NMCRDC Unmanned Aerial Systems and Remote Sensing Workshop.